"Western Reserve" redirects here. For other uses, see Western Reserve (disambiguation). The Connecticut Western Reserve was land claimed by the Colony of Connecticut from 1662 to 1800 in the Northwest Territory in what is now mostly part of northeastern region of the U.S. state of Ohio. The Reserve was granted to the Colony, by King Charles II. Although forced to surrender the Pennsylvania portion (Westmoreland County) of its sea-to-sea land grant following the Yankee-Pennamite Wars and the intercession of the federal government, Connecticut held fast to its claim to the lands between the 41st and 42nd-and-2-minutes parallels that lay west of the Pennsylvania border. Within Ohio the claim was a 120-mile (190 km) wide strip between Lake Erie and a line just south of Youngstown, Akron, New London and Willard, about 3 miles (4.8 km) south of the present-day U.S. Highway 224. Beyond Ohio the claim included parts of what would become Michigan, Indiana, Illinois, Iowa, Nebraska, Wyoming, Utah, Nevada and California. The east boundary of the reserve follows a true meridian along Ellicott's Line, the boundary with Pennsylvania. The west boundary veers more than four degrees from a meridian to maintain the 120-mile width, due to convergence. Connecticut, like several other states, gave up western land claims in exchange for federal assumption of its American Revolutionary War debt. The deed of cession was issued on 13 September 1786. However, Connecticut retained 3,366,921 acres (13,625.45 km2) in Ohio, which became the "Western Reserve". In 1796 (or possibly 12 August, 2 September, or 5 September 1795), Connecticut sold title to the land in the Western Reserve to the Connecticut Land Company for $1,200,000. The Land Company was a group of investors who were mostly from Suffield, Connecticut. There were initially eight in the group (or possibly 7 or 35). They planned to divide the land and sell it to settlers from the east, particularly land-hungry younger men from New England. The Indian title to the Reserve had not been extinguished. Clear title was obtained east of the Cuyahoga River in the Greenville Treaty in 1795, and west of the river in the Treaty of Fort Industry in 1805. The western end of the reserve included the 500,000 acres (2,000 km2) Firelands or "Sufferers Lands," reserved for residents of several New England towns destroyed by British-set fires during the Revolutionary War. The next year, the Land Company sent surveyors led by Moses Cleaveland to the Reserve to divide the land into townships. The townships laid out in this survey were squares 5 miles (8.0 km) on each side (25 square miles (65 km2)) This was unlike most of those elsewhere in Ohio, which are 6 miles (9.7 km) on each side (36 square miles (93 km2)), following the guidelines of the US Land Ordinance of 1785. The territory was originally named "New Connecticut", which was later discarded in favor of "Western Reserve." Over the next few years, settlers trickled in. Youngstown was founded in 1796, Warren in 1798, Hudson in 1799, Ravenna also in 1799, Ashtabula in 1803, and Stow in 1804. In 1800, Connecticut finally ceded sovereignty over the Western Reserve. The United States absorbed it into the Northwest Territory which established Trumbull County there. As the former county seat of the territory, Warren identifies as "the historical capital of the Western Reserve." Later, several more counties were carved out of the territory. 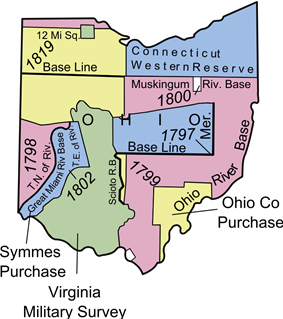 The name "Western Reserve" survives in the area in various institutions (see Western Reserve (disambiguation)). At the request of Congress, the National Park Service prepared a feasibility study for declaring the 14-county region of the Western Reserve as a National Heritage Area; this is a means to encourage broad-based preservation of its historical sites and buildings which are related by a large historical theme. Such designation has encouraged new development and businesses, often related to adaptive re-use of waterways, heritage tourism, and new endeavors. 49 National Heritage Areas have been designated in the United States, including two in Ohio: the Ohio Canal of the Ohio and Erie Canal and the National Aviation Heritage Area. The NPS study coordinator said that while the region had the historic assets and there was considerable public support, the Western Reserve lacked "a definitive coordinating entity or supporting group," which is required to gain Congressional approval. If such a body developed in the future, federal designation might be sought. The settlers in northern Ohio repeated the style of structures and development of towns from what they were familiar with in New England: many buildings in the new settlements were designed in the Georgian, Federal and Greek Revival styles. Towns such as Aurora, Canfield, Chagrin Falls, Gates Mills, Hudson, Medina, Milan, Norwalk, Painesville and Poland exemplify the expression of these styles and traditional New England town planning. For instance, Cleveland's Public Square is characteristic of a traditional New England central town green. Hatcher, Harlan, Western Reserve: The Story of New Connecticut in Ohio, Indianapolis: The Bobbs-Merrill Company, 1949. (2nd edition, Cleveland: World Publishing, 1966). (2nd edition paperback, Kent State University Press, 1991, ISBN 0-87338-449-0). The Public Records of the State of Connecticut [HistRef ConnDoc G25 1776-]. This multi-volume set contains the record of transactions of the Connecticut General Assembly. Each volume covers a given time period and has an index. Researchers interested in the Western Lands should consult these volumes to gain knowledge of the legislative actions and petitions granted by the Connecticut General Assembly. Burke, Thomas Aquinas. Ohio Lands: A Short History. [Columbus, OH]: Auditor of State, c1997 [CSL call number HistRef HD 243 .O3 B87 1997]. Cherry, Peter Peterson. The Western Reserve and Early Ohio. Akron, OH: R. L. Fouse, 1921 [CSL call number F 495 .C52]. Fedor, Ferenz. The Yankee Migration to the Firelands. s.l. : Fedor, 1976? [CSL call number F 497 .W5 F43 1976]. Mathews, Alfred. 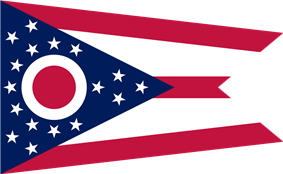 Ohio and Her Western Reserve, With a Story of Three States Leading to the Latter, From Connecticut, by Way of Wyoming, Its Indian Wars and Massacre. New York: D. Appleton, 1902 [CSL call number F 491 .M42]. Mills, William Stowell. The Story of the Western Reserve of Connecticut. New York: Printed for the author by Brown & Wilson Press [ca. 1900] [CSL call number F 497 .W5 M6]. Peters, William E. Ohio Lands and Their Subdivision. Athens, OH: W. E. Peters, 1918 [CSL call number F 497 .W5 P47 1918]. Rice, Harvey. Pioneers of the Western Reserve. Boston: Lee and Shepard, 1883 [CSL call number: F 497 .W5 R5 1883]. Wickham, Gertrude Van Rensselaer. Memorial to the Pioneer Women of the Western Reserve. [s.l. ]: Whipporwill, [197- ] [CSL call number F 497 .W5 W63 1970z]. Research Guide to Connecticut's "Western Lands" or "Western Reserve"